Still no luck.. I saw seven deer outback this morning and four more this evening. But the big buck was not out there.. Ya know, I'm just glad that you're still around and back out hunting and enjoying it. 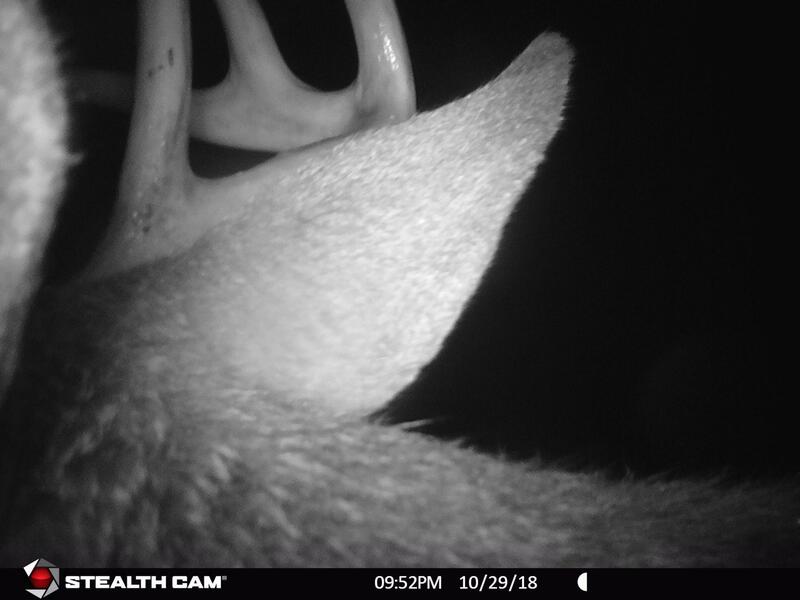 Keep posting the pics and I hope to see a big buck in one of them. Thank you Cal and I am hoping to as well. I received permission to go in on some posted land today. Then took a fall while going threw a cutting to try and get on to it. I had the permission to hunt the back end of it. But to get to it I would have to go threw that cutting. I know that those big bucks are in there but the going to get onto it was very difficult. I am okay though just a little bruised up that’s all. 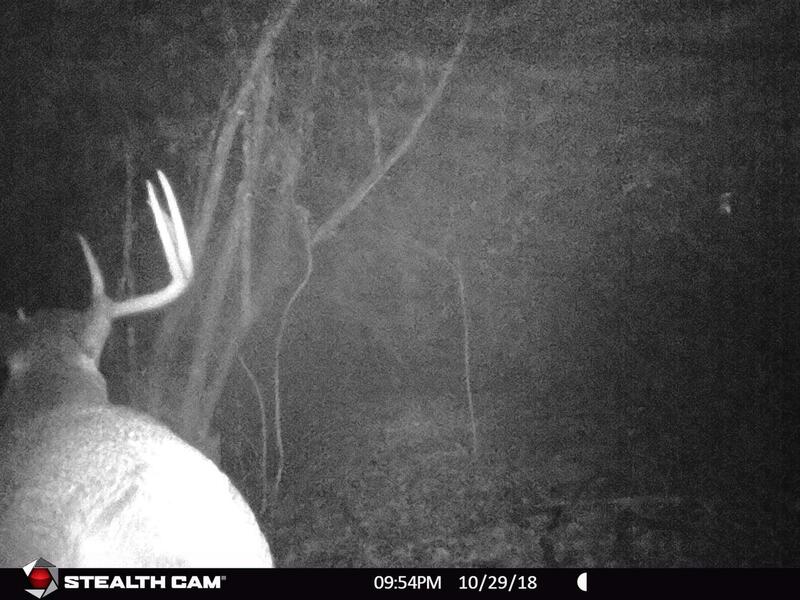 Any way I have had another buck show up on my cam last night. I first thought it was that heavy weight but soon realized it was yet another buck. They sure appear to know when to come around. Thanks Ron, I am still trying but no luck yet. Hopefully he will come in and mess up soon. Those little spikes have been getting shot lately down below me. But those big bucks are still roaming around. Just an update. One of those big bucks has been shot crossing a cow pasture. A couple of the spikes has been shot on the next street over from me. They used a shotgun in a residential area. That’s something that I would not do and can’t do legally anyway. I have the does still hanging around my field so another buck most likely will be moving in. I know that there was two big bucks out there and the other one I haven’t seen for a while. But I had 5 does and fawns on my front lawn almost every night the minute it turns dark. This morning leaving for work they walked across my drive as other cars stopped to check them out. It’s 4:30 in the morning and why they were checking them out that early is beyond me. But for me nothing as of yet. Phil, it sounds like you're having a lot of fun just getting out there and hunting again. I hope the big buck crosses your path and bang flop. In the meantime, stay safe and stay healthy. Thank you Cal and next week I will be on vacation if I don’t have any luck during the early morning hours. Good luck and enjoy the vacation. I'm still working on my bear and Fall turkey season has opened along with quail & bobcat. Decisions, decisions. I'm still hunting the bear and the turkeys are safe for now. Still no luck and we have some nice tracking snow. I found a nice pocket of deer yesterday. The problem is it is to hard going to track anything in there. These cuttings are hard going and there is either a lot of slash laying around or there full of blow downs . But the deer are in there. I spooked a buck and a doe yesterday while scouting it out. They were bedded down and there was a lot of sign from other deer as well. There was only a couple of tracks from a deer or two crossing the road. The moose was all over the place in there and on the road it looks like they are still in rut. What a mess they are making there. Oh well here’s a picture of what this cutting looks like. 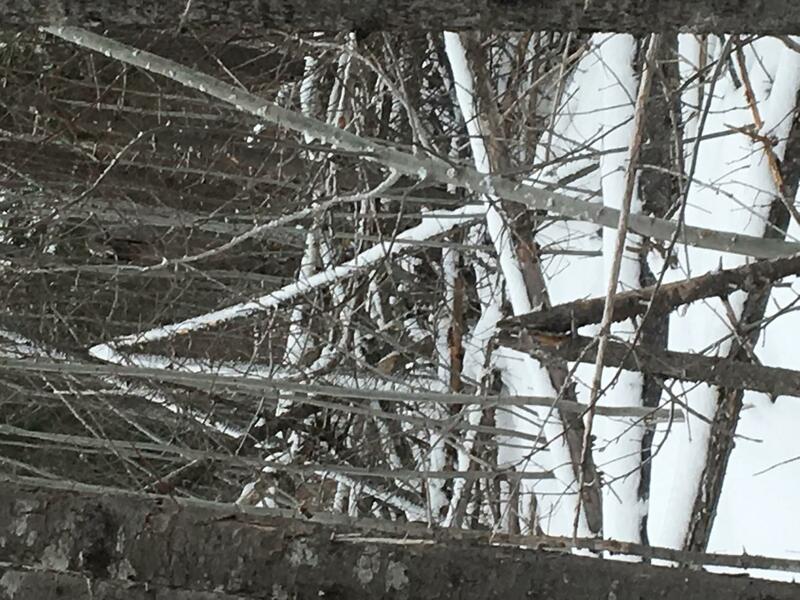 We have some new snow last night so I am going to walk the road and maybe catch one browsing. Last edited by Phil from Maine; 11-21-2018 at 12:02 AM.